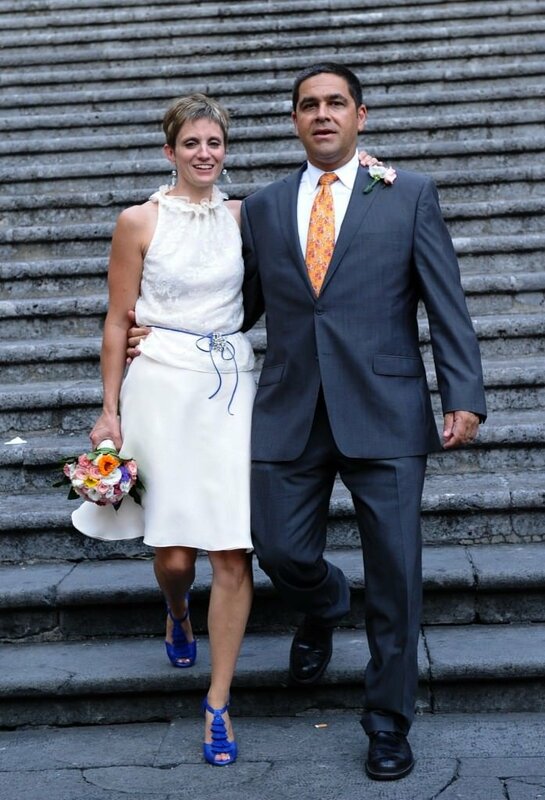 Bride Amy wanted a two-piece wedding ensemble for her romantic European wedding. 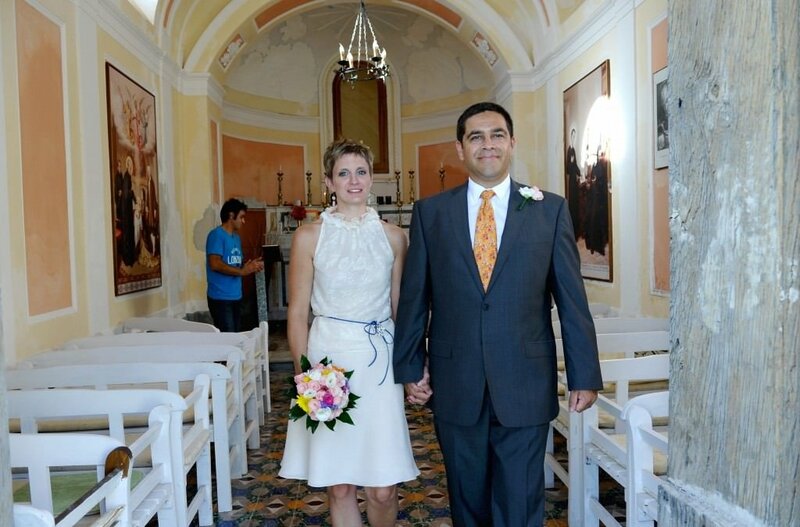 The top and skirt needed to reflect the bride’s personal style and travel easily to her private wedding in Italy. 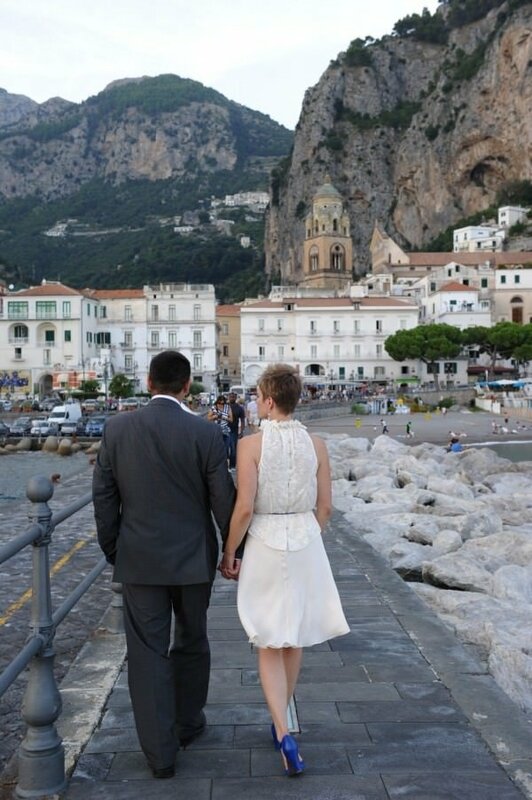 The lace top and chiffon skirt pair perfectly to create a romantic look for this destination wedding. Both pieces are very delicate and feminine. 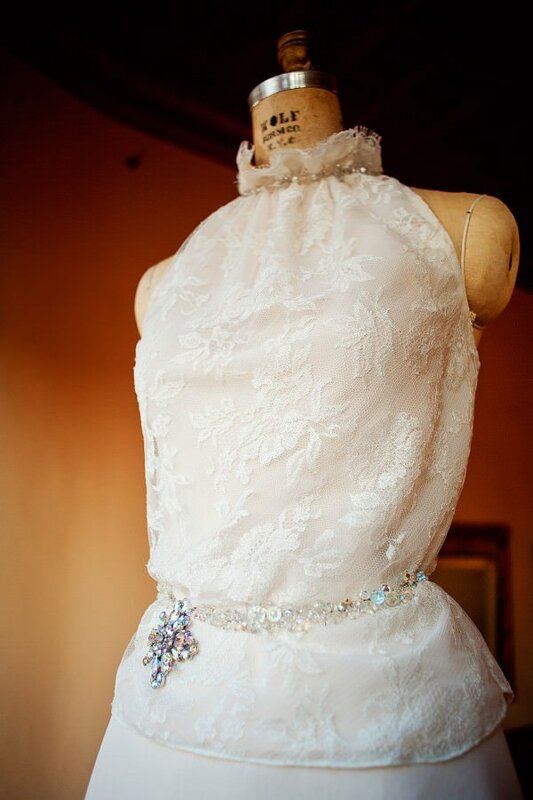 The blouse features a ruffle collar that softly frames the bride’s face and closes in the back with vintage crystal buttons. 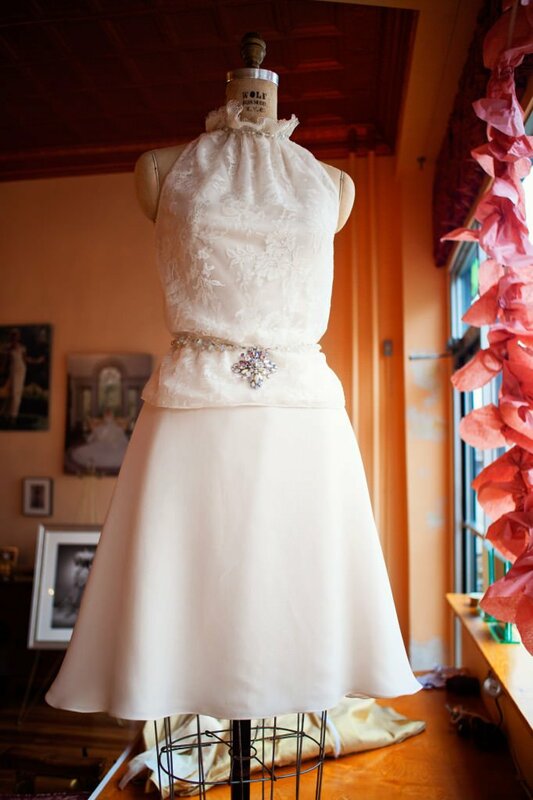 More brides are looking to alternates to the traditional wedding gown and separates is a great way to go!